This course presents 46 research-based tools, worksheets and resources which have been field-tested at schools and in dropout prevention programs nationwide. They help teachers, administrators, counselors and special educators who work with at-risk learners. 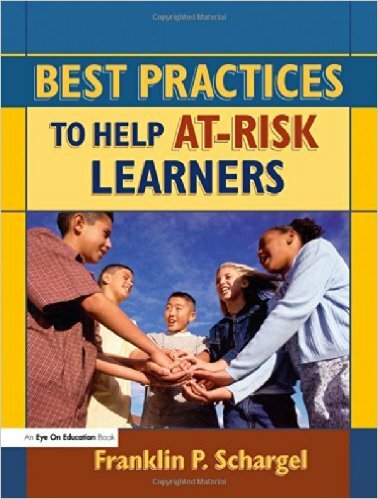 It also explores the 15 strategies identified by the National Dropout Prevention Center. The book has indexes by grade level, job title and by individual strategy. Educators will research the topic; develop writings, lessons or activities for classroom applications that help at-risk students to be successful in school. Educators will acquire a framework of working knowledge to teach at-risk students. Participants taking this course will learn about ways of encouraging students to think about staying in school and how to make schools family friendly. Educators will learn how to identify high-performing at-risk students and what parents can do to intervene when their child begins to fail in school. Participants will explore the best practices and strategies that can help reduce school disenfranchisement and potential dropouts. Educators will research the topic, develop a lesson or activities that utilizes strategies in the book and use the instructional techniques for improving student achievement.